( untrustworthy ! ) absolutely the worst service we’ve ever had ! Chris was helpful and kind and was great, thanks so much! Very pleased with your service! Robert was great! He showed up on time with parts needed in hand. He fixed our oven quickly. He was friendly and curtious. I was very happy with how this service call went! Thank you for your help Robert. The scheduling was an issue both times and my appointment was changed the first time and the second time the appointment wasn’t right but in the end it worked out. Chris was great, though he wasn’t given any notes from The previous guy so he had to trouble shoot again (waste). Would be best for paradise to give their workers as much info as possible. There was an issue with the charge but we worked it out and I thankfully have a working dishwasher! I admit when whirlpool contacted me that they would give me the part I needed for free I asked them to set me up with a different repair company (I didn’t want to use paradise again) but I figured it would be best because of continuity (but my guy didn’t even get work notes from the previous guy two weeks before). In the end I’m just happy to have a working dishwasher. Chris was great but my overall experience with paradise was mediocre, there is room for improvement for sure. 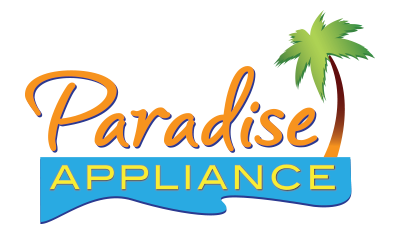 I’ve had some bad experiences in the past with technicians coming in and fixing our appliances so I was skeptical about this new company, Paradise Appliance. When I first met Enrique, he greeted me and introduced himself in a kindly manner. He was very professional and explained the process every step of the way. He then made sure he ordered the correct part and I got my appliance fixed the same week! He understood how much we were in need of our refrigerator especially since most of our food went bad because of it not working. When he came to replace the part he made sure I didn’t have anymore questions. He was very clean as well. He restored my faith in whirlpool again. I can see why they hired this company to look after their appliances. Thank you so much for hiring someone like Enrique. He’s friendly, honest, reliable, professional, kind, and truly wants the best for his customers. I hope he gets recognition for how well he does. He deserves this and so much more. I appreciate your company ! REFRIGERATOR WHIRLPOOL WRF560SEYM05 "Feezer door not opening/closing, door is ajar and doesn not move, Ican see broken piece and also the ice maker is fallen,instructed door will take 5-6 weeks. ; ordrng 1 LW10433608 (freezer door) and 1 WPW10397636 (slide) and 1 WPW10397635 (slide)"
WASHER MAYTAG MVWX655DW1 Customer complaint not working : found unit stock at drain run diagnose test water was off re tested washer works all componenst tested ok to manufactory specificis. REFRIGERATOR WHIRLPOOL WRT519SZDW02 "Customer reported unit was freezing in the ref section, checked, workinh fine at this time, recommend not to put vegetables on top shelf and set temperature to a warmer setting..."
REFRIGERATOR WHIRLPOOL WRS571CIDM02 "No ice, ice maker mold came off, replaced the ice maker..; used 1 W10873791 (ICEMAKER) from stock"
REFRIGERATOR WHIRLPOOL n/a "No ice, replaced the ice maker and tested, customer reported is making noe but I could not duplicate....; used 1 W10884390 (ICEMAKER) from stock"
WASHER WHIRLPOOL WTW5000DW "by accident arrive on call , pre id; ordrng 1 W10634026"
WASHER MAYTAG WFW75HEFW0 replaced parts found damage cabinet and front panel door close but cabinet damage not authorization for rest odamage parts. REFRIGERATOR AMANA ABB1924WEW3 "Leaking water on floor, found clopged drain hose, cleared the drain and removed big ball of ice, tested, working fine now...."
WASHER WHIRLPOOL CAE2745FQ0 Customer complaint shaking: found bad shox replaced it run diagnose test all components tested ok to manufactoy specifics. REFRIGERATOR WHIRLPOOL WSF26C3EXF01 "Not making ice, found broken wires at freezer bottom door, need complete freezer door order using authorization WJ6U1J6MPL1; ordrng 1 LW10371918 (feezer door)"
REFRIGERATOR JENN-AIR JB36NXFXRE01 "Not cooling at all, low on freon and compressor is noisy, need compressor and possible evaporator coil, new just purchased, customer wants unit replaced, called tech line #7724269754"
COOKTOP JENN-AIR JGD3536GS00 "replaced faughty swtich and manifold, fan swtich is still slightly off center but all works finefile 7724259884jj46v00ml2"
WASHER AMANA NTW4516FW2 "chk and tested washer, found unbalanced load code, no other errors, advise cust that i could not stay for complete cycle but cust insisted that i do. told cust to call my personal cell if problem is detected and i will return." DRYER-GAS AMANA NGD4655EVW2 "chk and test dyer, all test good,re-attached knob that had came off, informed cust of vent , and noise dur to vibration.all test goodtook picture of reciept"
DRYER WHIRLPOOL MGDX655DW2 Customer complaint steam on floor : found open vent instru customer to fix vent not correct system fire hazard. dryer tested ok to manufactory specifics. REFRIGERATOR WHIRLPOOL WRS325SDHZ01 "repl fan and blade, all test good"
DISHWASHER WHIRLPOOL WDT710PAYM3 Found clogg water pump cleaned run diagnose test all componenst tested ok to manufactory specifics. WASHER MAYTAG MVWX655DW0 "found error code lid lock , F5E3 , also ordering main control electronic and actuator , just in case we need it . ; ordrng 1 W10625696 (cntrl-elec) and 1 W10404050 (lid lock) and 1 W10913953VP (actuator)"
WASHER WHIRLPOOL MLG2000AWW "Customer complaint not spinning : found out off balance switch activated , fix it run diagnose test washr drain and spin all components tested ok to manufavtory spin." REFRIGERATOR WHIRLPOOL n/a "found faughty fan mtr, turning at low rpm; ordrng 1 W10911770 (wire) and 1 WP2315549 (motor-evap) and 1 WP2169142 (evaporator fan blade)"
MICROWAVE WHIRLPOOL MH1170XSS2 "found error code f6 which is shorted control, cust declined repaire"
WASHER MAYTAG MVWC565FW1 Customer complaint not running : found bad cap fix diagnose test washr run all components tested ok to manufactory specifics. OVEN WHIRLPOOL n/a "found display on oven turning in by self, needs new control and console. part covered by warranty but not labor. cust will call jenn air to veriWPW10292566 and W11087472"
DRYER-GAS MAYTAG MGDC215EW2 Customer complain no heat : found bad coils also info customer of bad vent run diagnose test dryer heat all components tested ok to manufactory specifics. WASHER WHIRLPOOL WTW4850HW1 Customer compalint shaking: found one shox out of place put it back run diagnose test normal shake due to higher rpms on spin cycle washer tested ok to manufactory specifics. REFRIGERATOR WHIRLPOOL WRF990SLAM02 "found not freon on system has internal leak , i need to call tech support to report the situation , also found dent on back of the refrigerator pinching the line .i dont need to go to a custumer home; schdld next appmnt for 2/7 THU !" COOKTOP WHIRLPOOL AGR5330BAS3 "chk and test range, repaired ign position on rl burner, all test good"
REFRIGERATOR KITCHENAID KRMF706ESS01 "Will not stop dispensing at times, cleaned and tested dispenser actuator, ice and water dispensing normal...."
REFRIGERATOR FD MAYTAG MFT2976AEM00 Replaced the refrigerator section evaporator fan motor and thermistor harness. Placed the evaporator thermistor down on the evaporator outlet. REFRIGERATOR WHIRLPOOL WRS571CIHZ00 "Freezing in the refrigerator section, ordering main control board, air diffuser and thermistors. ; ordrng 1 W11035841 (elec control) and 1 W11164593 (air diffuser) and 2 W10316760 (thermistors)s"
WASHER MAYTAG MVWC565FW1 adjusted the cam assembly spin operation is normal now.